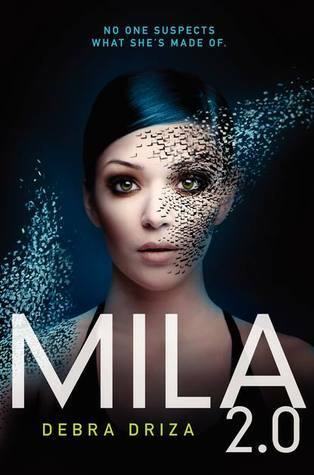 Mila 2.0 is the first book in an electrifying sci-fi thriller series about a teenage girl who discovers that she is an experiment in artificial intelligence. Mila was never meant to learn the truth about her identity. She was a girl living with her mother in a small Minnesota town. She was supposed to forget her past—that she was built in a secret computer science lab and programmed to do things real people would never do. Now she has no choice but to run—from the dangerous operatives who want her terminated because she knows too much and from a mysterious group that wants to capture her alive and unlock her advanced technology. However, what Mila’s becoming is beyond anyone’s imagination, including her own, and it just might save her life. Mila 2.0 is Debra Driza’s bold debut and the first book in a Bourne Identity-style trilogy that combines heart-pounding action with a riveting exploration of what it really means to be human. Fans of I Am Number Four will love Mila for who she is and what she longs to be—and a cliffhanger ending will leave them breathlessly awaiting the sequel. "I'm a wife, a mom, a dog lover, a writer, a physical therapist, and the owner of the messiest purses on the planet. No, really. Sometimes I worry that I'll reach inside for my keys and lose a hand in the process. My YA thriller series debuts in Fall 2012 with Katherine Tegen Books/Harper Collins. Oh, and when I grow up, I want to be Veronica Mars." First things first: this cover is amazing! As you know, I am quite the cover lover and unashamed to admit it and the cover for Mila 2.0 knocked my socks off! I can't wait to see covers for the future installments and hope they keep with the theme. Okay, with that out of the way, let's talk about what's inside this awesome cover! Mila starts out like your typical fish out of water teen going through a life crisis (in Mila's case, the loss of her father). Her mom is distant, she's having trouble fitting in at her new school and a new boy friend (as in friend that's a boy...) is making confusing overtures to her (natch). Then the subtle differences start sneaking in (you just knew they would...I mean look at the cover!). Mila can hear things others can't and she seems to have hints of superpowers...what could that mean? I almost wish the cover summary didn't give her secret away because that would've made for one hell of a twist. In the beginning of the novel, Mila is a girl adjusting to her new life. 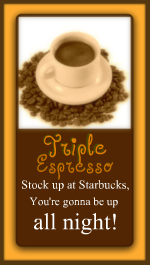 Then, an accident happens and, BAM, everything hits the fan with a quickness! The last half of Mila 2.0 will have you turning the pages with a savage ferocity! I loved Mila's character and her tenacity, despite the numerous setbacks she faces, to discover the truth about herself. The cast of supporting characters is well-rounded and I liked the character of her mother in particular. Driza has certainly created a page turner of a premise and I can't wait to see where Mila's journey is taking her next!